What could possibly be done to improve an already creamy, dreamy ice cream-based beverage? Add booze of course! 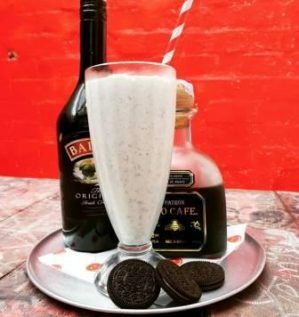 Cheekyburger takes milkshakes to the next level by infusing the classic dessert with whatever alcohol you’d like. Their Oreo milkshake in particular is especially delightful when spiked with a shot of a little something extra. Cheekyburger also serves a range of American cuisine from burgers and fries to hot wings, but ordering a boozy milkshake is a must because if you’re going to have a cheeky burger you might as well have it with a cheeky shake!